If you have dark and oily skin and want a fair and fresh skin, then don't need to search more because here we have some best tips to bring natural fairness for oily skin. Simply go with the one that really works for your skin. Be regular with that tip and see the difference within few days. Take 1 Teaspoon of sandalwood powder and add half teaspoon of tomato juice, half teaspoon of lime juice and half teaspoon of cucumber juice. Mix them well to make a fine paste. Spread this paste on your face and neck evenly and allow it to stay for 15-20 minutes then rinse off with lukewarm water.This is one of the best home remedy for lighten dark oily skin. Soak four almonds overnight. In the morning remove their skin and grind them fine. Make a paste by adding one teaspoon of Gram flour(Besan), one Teaspoon of milk and half teaspoon of lime juice. Apply this paste on your face and neck and massage for2-3 minutes. Leave it on for 15-20 minutes and then rinse off. A regular massage with this paste will bring Natural Fairness within few days. Mix wild half teaspoon of turmeric powder with half teaspoon of red sandalwood powder. Add half teaspoon of lemon juice, half teaspoon milk, few drops of almond oil, and egg white. Mix and apply this on your face and neck for 15 minutes. Regular application will give you an excellent result within few days. Take 1 tablespoon of papaya pulp and add 1 teaspoon of yogurt and 1 teaspoon of honey. 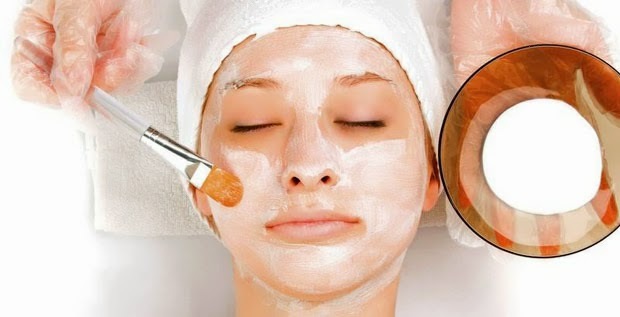 Apply this mixture to face and neck and leave on for 15-20 minutes. Regular application will give excellent result within few days. Take one tablespoon of fuller’s earth(multani mitti) and add 1 tablespoon of orange juice, 1 teaspoon of honey and 1 teaspoons of rose water. This mixture is enough to apply over your face and neck. After 15 minutes wipe this mask with a moist towel and wash your face and neck with fresh water.